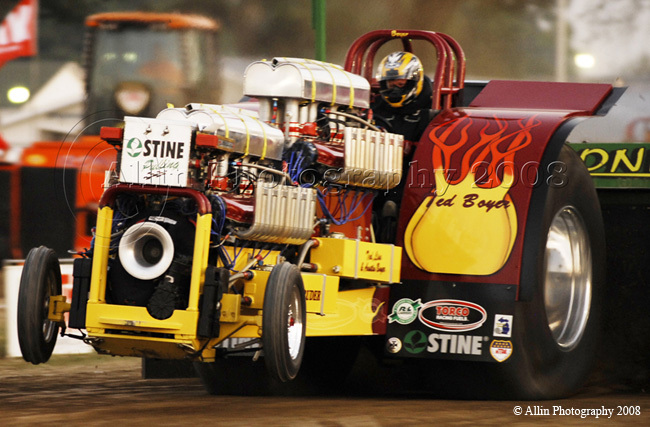 The dutch Black Cat team is working on a new modified tractor with blown V8 engines. As base they have purchased the former Seaside Affair chassis. First pictures of their work in progress are on their website. It's pull chat time tonight! Starts to look like a sad story already. There is two beauties up for sale! Banters with 7 Chevy's... bad track though. a. Wedge heads that will accept a stock OEM intake manifold bolt pattern limited to 70% maximum overdrive. b. Wedge heads without a stock OEM intake manifold bolt pattern are limited to 50% maximum overdrive (Exception – Big Chief Heads). c. Hemi-style or Big Chief Heads are limited to a maximum of 26% overdrive. 2. One (1) blown automotive engines with 14-71 superchargers at 70% maximum overdrive. 3. 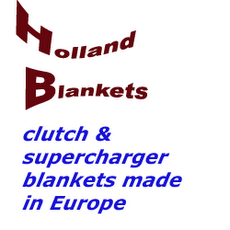 Three (3) naturally aspirated Big Block automotive engines. 4. Four (4) naturally aspirated Small Block automotive engines. 5. 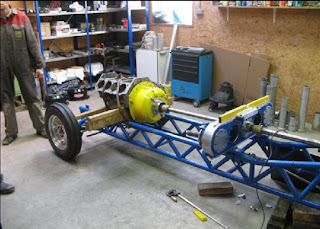 One (1) Allison engine on alcohol (no gas) with a maximum of an 8.8-1 supercharger with stock 9.5 inch blower wheel. Must use stock Allison 2 port butterfly in stock Allison location. 6. One (1) industrial or marine engine twelve (12) cylinder limit, with a 2500 cubic inch limit or 3000 mfg. rated HP. 7. One (1) Packard on alcohol with 6.5-1 supercharger. Stock Packard butterfly must be utilized, in stock location. 8. Two (2) Ranger aircraft engines with a max of 800 cubic inch with single stage centrifugal chargers on alcohol with fuel injection. 9. 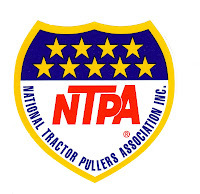 One (1) Turbine or combination of NTPA recognized turbine engines not to exceed a maximum of 3000 total horsepower using the ratings as approved by NTPA. No fluids except for engine oil and jet fuel allowed being used or onboard vehicle. Two (2) T-53 L13 Turbines, or One (1) T-64 6 Turbine, or One (1) T-55 L7C Turbine. No variances for newly built machines. Check the RR gallery under "werkplaats" on the Rebel site. A really nice video clip of V8 Olivers and Whites! have a container going to Europe be leaving December 1st. Now that the season is over, it's time for fuel talks again. So we're in the sunday pull chat! The Judge team has a new website! The Italians have a bunch of new videos on their website, showing the final events of 2008. 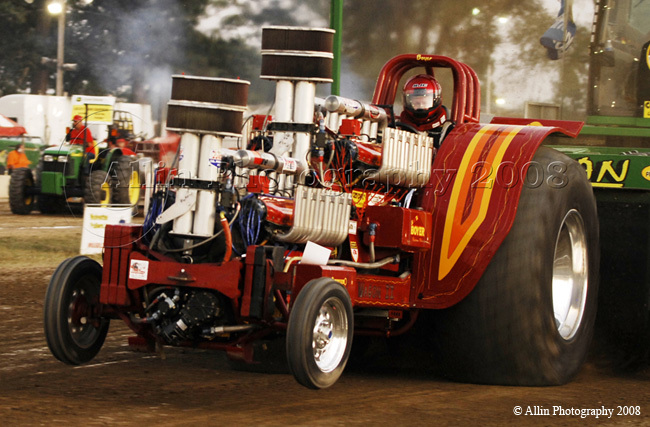 There is a new french web blog about the Tractor Pulling sport at http://pullingfrance.blogspot.com/. Right now it features some nice, historical videos from the 25 year history of Pulling in France. 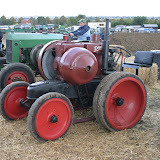 I have made an uncut tractor pulling video of Bettborn 2008. You need a PC with NTFS file system for large files >2GB, DivX 6.8 and a fast PC ( I have a preview video on my site, so you can test, if your pc can play the video. My core2duo e6300 needs 20% cpu power). Now you click Paypal to pay 10 Euro, after that a new site opens with the downloadfiles and a password, 39x100MB hosted on rapidshare.com. For a fast download you need a premium account there but a slower, free download is possible too. After download you click the first file with ".exe" enter the password and the 39 files will unpack to one video file on your pc.